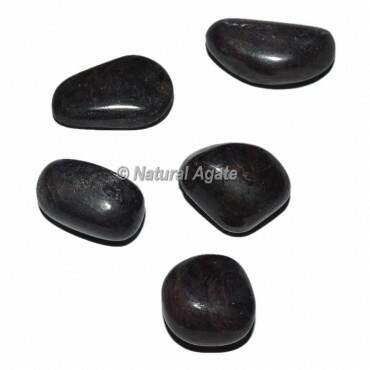 Black Agate Tumbled Stones is related with the Root Chakra. Black Agate Tumbled Stones is an establishing and defensive precious stone and is viewed as a stone that brings good karma and is a stone with solid assurance properties, particularly for kids, and is very quieting and mitigating. Agate can orchestrate positive and negative powers, ease awful dreams and can give bravery, vitality, quality, and disperse fears, all of which increment fearlessness.